Discover the city with our list of the very best things to do and things to see in Vienna for visitors to the city who like to have cultural experiences, and want to discover the Viennese secret to the good life. These are absolutely the BEST things you can’t miss on a trip to Vienna, according to our expert guides and locals. No visitor to Vienna in their right mind will skip the undeniably gorgeous historic center of the city, but by venturing beyond the busy main boulevards of Kärntner Straße and the Graben that most tourists stick to, you’ll unlock the real charm of this old city. Aimlessly wandering the city centre’s streets will have you discovering the many narrow, cobblestoned alleyways, and the impressive old buildings that line them. Oh, and be sure to poke your head into some of the inner courtyards of the buildings – more often than not, a breath-taking sight will await you. 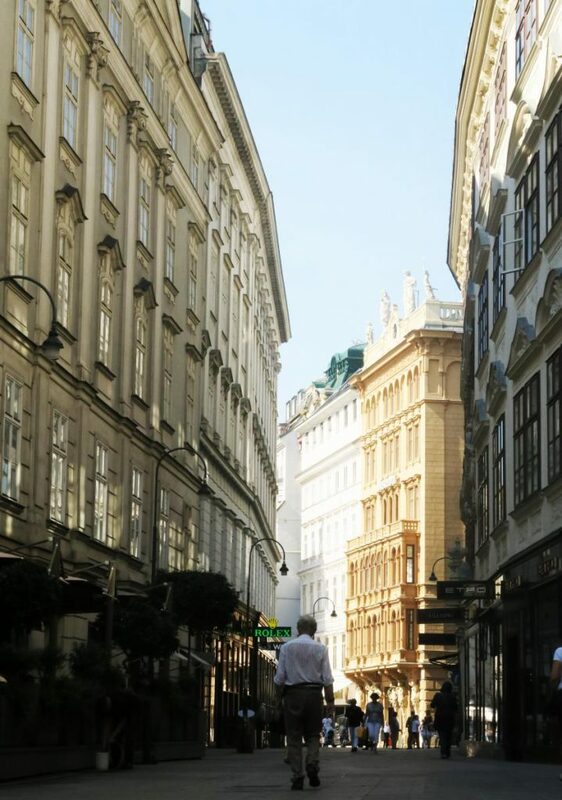 So once you’ve taken your photo of the magnificent St. Stephan’s cathedral, find a side street, leave the other tourists behind and explore the charming streets of Vienna’s old city centre. It’s no coincidence that the German spelling for Vienna – Wien – is so close to the spelling of the word, ‘wine’. Ok, maybe it is, but the point is – Vienna and wine go together like coffee and cake (two other glorious things you’ll discover in Vienna). 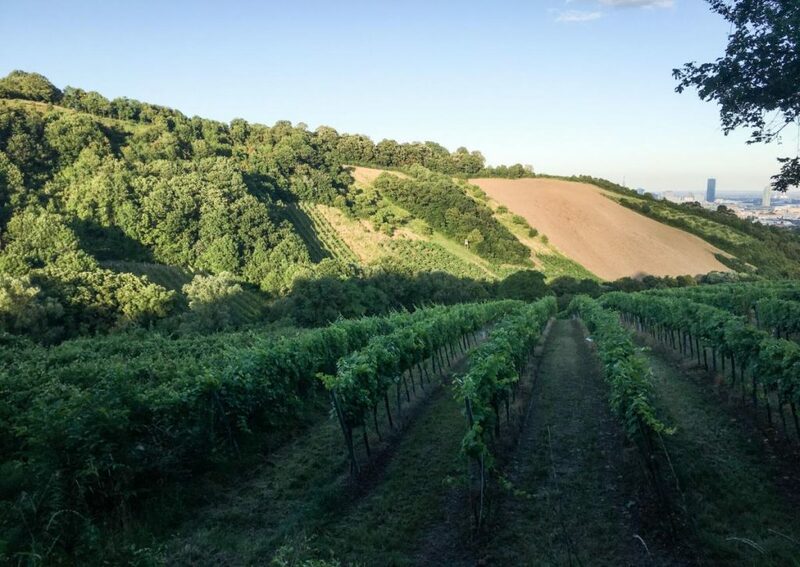 With 700 hectares of vineyards within the city limits, wine is a big part of the Viennese way of life. They grow it, they drink it, and they have places where they worship it called Heurigen (translation: wine tavern). These places of wine worship are truly unique to Vienna so be sure to plan in a visit to one (or two). And while you’re there, do as the locals do and order some ‘Schmankerl’ to go with your wine, which is like an Austrian take on antipasto, including a selection of cold cut meats, spreads and cheeses. Oh, and try the white wine variety, ‘Gemischter Satz’ – it’s a treat and is only produced in Vienna. If we are to recommend one Heurige to visit, It would be the ancient and easily-accessible, Mayer am Pfarrplatz. Otherwise, head to the famously charming neighbourhood, Grinzing which is packed with the old wine taverns. 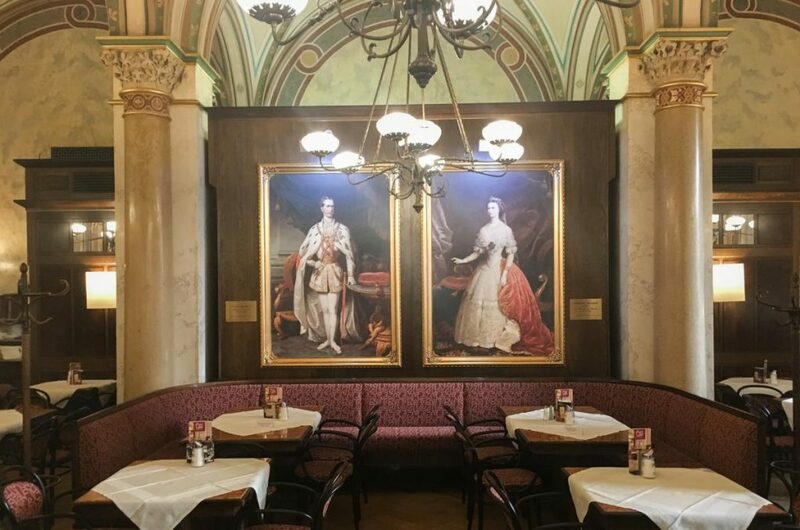 Viennese coffeehouses are seriously like a parallel universe – the old world charm that can be found in them is genuine – time has literally stood still within these institution’s walls (minus the smart phones that people are snapping pictures of the place with). If you have the time, do like the locals do and sit for a while amidst the undisturbed calm and write your postcards, read a book, or one of the many newspapers on offer. Or just sink into one of the booths behind a marble-topped table and soak it all in. Also, ordering coffee without cake is a faux paux in Vienna (ok, maybe not, but it should be). Kaffee & Kuchen are the 2 words you should learn before walking into one of these places, and when the waiter asks you which Kuchen (translation: cake) just answer – all of them. The popular Café Central will be the fanciest café you’ve ever been in and it also has an in-house pastry chef creating some of the most incredible cakes and tarts that will ever hit your tastebuds. Meanwhile, many locals will argue that Café Diglas and Café Demel can make the same claim. Kaffee Alt Wien, 1010 – they serve up one of the best Apfelstrüdels in the city here. This flattened, breadcrumbed and deep-fried meat dish is proof that some of the best things in life are simple, as sch-imple as Schnitzel. The Wiener Schnitzel (translation: Viennese Schnitzel), traditionally made with veal, is a guilty pleasure that should be at the top of your Vienna must-eat list. The question of where you’ll find the best Schnitzel is a passionately debated, and sensitive, topic amongst the locals, however, if you don’t mind waiting in a line for a table (or reserving well in advance) we’d suggest you try Figlmüller where the Schnitzels are bigger than the plate. Otherwise, to avoid the tourist crowds, head to Skopik & Lohn or the centrally located Salzamt. Owning the title as the biggest market in the city, the Naschmarkt is a big and beautiful chaotic mess of a market where stall vendors will charm you into trying their wares, and you’ll find a wealth of restaurants, cafes and wine bars in which to sit and take in the buzzing atmosphere of the market. 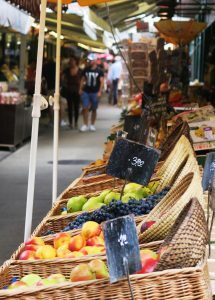 Visit the Naschmarkt on a Saturday morning, and the show gets even livelier and more interesting when a flea market attaches itself to the food stalls. If you’re a fleamarket fiend, you’ll love it, and even if you’re not, you’ll garner an education on Vienna’s present and past when rummaging through the piles of antiques up for sale. Once upon a time, there was the Austro-Hungarian empire, and during that peaceful period of Vienna’s history, the royals and the aristocracy didn’t hold back when building their summer and winter residences, which means what we’re left with today are the glorious relics of the palaces peppered around Vienna. 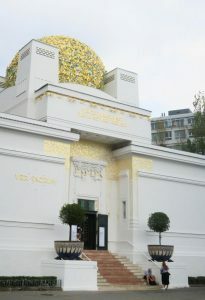 Be sure to pay a visit to one during your stay in Vienna. While the grand & impressive Hofburg (the main palace residence in the city centre) is made for marvelling from the outside, spending half a day wandering around the inside of either the Belvedere palace, or the bigger and more popular Schönbrunn palace is a must on the to-do list. If you do decide to venture out to Schönbrunn, which we highly recommend you do, be sure to take a walk in the palace gardens which span for kilometres. Also, walk up to the other fancy looking building up the top of the hill behind the palace known as the Gloriette. It used to be the emperor’s glasshouse, but is now a café with a spectacular panorama of the city. A Würstel translates as a sausage, but what this humble cylindrical tube of meat means to the people of Vienna is much more than this simple definition can convey. Around the streets of the city, you’ll see small stands, reading ‘Würstelstand’ on them – be sure to head to one around lunchtime and try one of the many different variations of sausage on offer. If you want to go for something uniquely Viennese, order a Käsekrainer – a pork sausage with little balls of melted cheese inside. While it may seem sickeningly indulgent at the time, it will surely pop up in daydreams long after you’re Vienna trip is over. It goes especially well with a beer, which is the locals chosen drink of choice at a Würstelstand. A centrally located wonder of a Würstelstand is Zum Scharfe Rene – here, the friendly guy behind the counter, Rene, talks a bit of English and loves telling tourists all about his original sausage creations that he makes himself. If you’re an avid architecture fan, you’ll feel like a kid in a candy store when walking Vienna’s streets. But here, you’ll be able to stuff yourself silly with eye candy in the form of an array of architectural beauties. And the diverse range in architectural styles is astounding. Buildings will constantly pop up that are great examples from all kinds of architectural glory days from the past, from Baroque, to Art Nouveau. Be sure to seek out creations from the architectural legend, Otto Wagner, who shaped a lot of the aesthetics of the city that will have you snapping limitless photos. Meanwhile, a visit to the vibrant and nature-inspired Hundertwasserhaus is a fascinating half day thing to do where you’ll learn about the revolutionary-thinker behind the building who called himself, Hundertwasser (translation: Hundred waters). It may be old, but the Riesenrad is still as much a wonder today as it was considered when it was built back in 1897. And to ride in one of it’s wooden carriages is truly an experience worth having. Not to mention the view you’ll enjoy when this slow old beast spins you to the top. It’s no secret that Vienna has produced some of the most famous musicians and artists the world has ever seen (or heard). And we highly recommend you catch some of their masterpieces during your stay, whether it be spending some time in front of Egon Schiele’s disturbing beautiful and moving paintings in the Leopold Museum, capturing some of the ancient greats in the Kunsthistorisches Museum (translation: the art history museum), or catching a classical concert at the Musikverein, or the Konzerthaus. If it’s contemporary art you’re after, pay the MUMOK a visit, or catch a photography exhibition at the Westlicht, or Kunsthaus (here you can also catch an exhibition from the fascinating painter and architect, Hundertwasser that we mentioned above). Plus, be sure to schedule in a night at the magnificent opera house. Even if you’re not a fan, the building alone is worth a visit. MQ stands for Museumsquartier, which is Museums quarter in English – from this we can assume you gather what this young and vibrant space of the city is all about. However, another reason that should draw you here, besides the world class galleries it houses, is that this is one of the most beloved and coolest social urban spaces in Vienna. In summer, plastic lounges are full of people enjoying the good life, while even in winter, cafes and bars are scattered around the space. Also, the fact that all kinds of modern architecturally unique buildings have been built within this historic space – that was once the Emperor’s horse stables – should already be intriguing enough to pay it a visit. 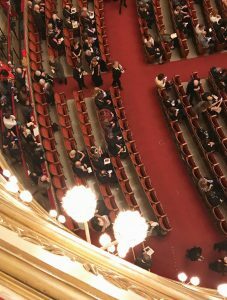 For a more special Vienna visit, you can pick and choose, or do all of these great Vienna experiences as part of a custom-made Vienna a la carte tour. Not only will your tour of Vienna be more comfortable, but also our knowledgeable guides will give you that extra depth to your Vienna experiences.